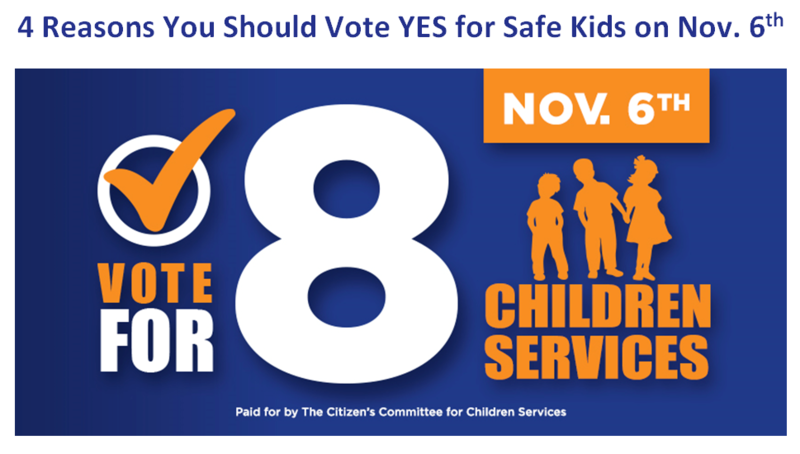 This November Summit County Children Services (SCCS) will ask voters to stand ‘Together for Safe Kids’ and vote for Issue 8, a 2.25 mill levy renewal with a 1 mill increase. SCCS is the only agency mandated by Ohio law to assess concerns of child abuse and neglect in the county. The agency is committed to the safety, permanency and well-being of all children served in partnership with families and the community. When you vote to support Issue 8, you vote for the nearly 10,000 children who received services last year. That’s 1 out of 12 kids in Summit County. Kids are the SILENT VICTIMS of the Opioid Epidemic. According to the Summit County Opiate Task Force, 224 drug overdose deaths occurred in Summit County in 2017. Opiates were the number one drug concern reported to SCCS in 2017, and caseworkers are among first responders when a parent overdoses. Programs including the Family Reunification through Recovery Court (FRRC) and specialized substance abuse caseworkers help provide collaborative approaches to drug intervention. Many families served by SCCS struggle with substance abuse and other complex issues, and your vote ensures SCCS can provide these families necessary resources while working to keep kids safe. Ohio Child Protection agencies rely on LOCAL COMMUNITIES for support and funding. Ohio funding of child protection services is the lowest in the nation, and even if funding was doubled, Ohio would still rank among the lowest. Levy funds account for nearly 60% of the SCCS operating budget. In order to continue responding to child abuse and neglect and providing families and children essential services, SCCS needs your vote for Issue 8. Should the levy not pass, SCCS will cut 34% of staff and 20% of their operating budget, significantly impacting the community. The levy increase will only cost an additional $35 PER YEAR to keep kids safe. A vote for Issue 8 invests in the future of our children and community. The levy increase will only cost an owner of a $100,000 home an additional $35 per year or less than 10 cents a day. 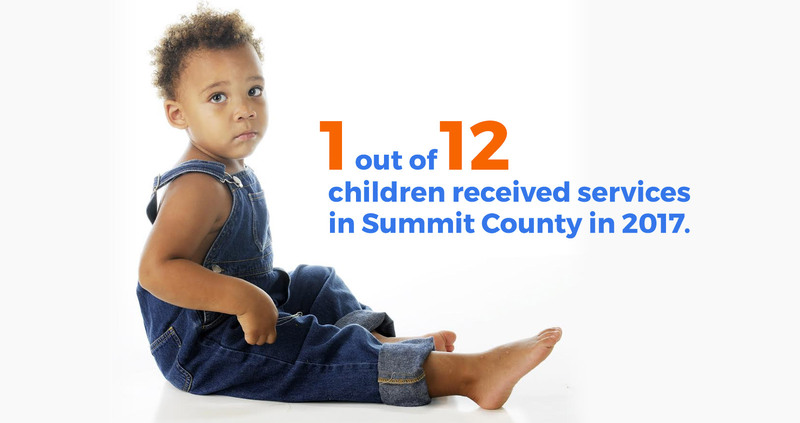 All children have a right to a safe and stable home, and child well-being is vital to the Summit County community. Your vote builds STRONGER and SAFER COMMUNITIES. According to ChildWelfare.gov, child abuse and neglect has profound, long-term impacts on children and communities. Children who experience abuse and neglect show higher rates of developing health conditions, abusing drugs and/or alcohol, committing crimes and continuing the cycle of abuse. Your vote for Issue 8 fosters a culture of support for the future of our communities and its residents. SCCS and Summit County residents have an ongoing responsibility to foster safe and stable homes and communities. Together we can keep kids safe by VOTING FOR ISSUE 8!